AN architectural gem in Extremadura’s wine-growing region has been given a new lease of life as a family-run guest house. 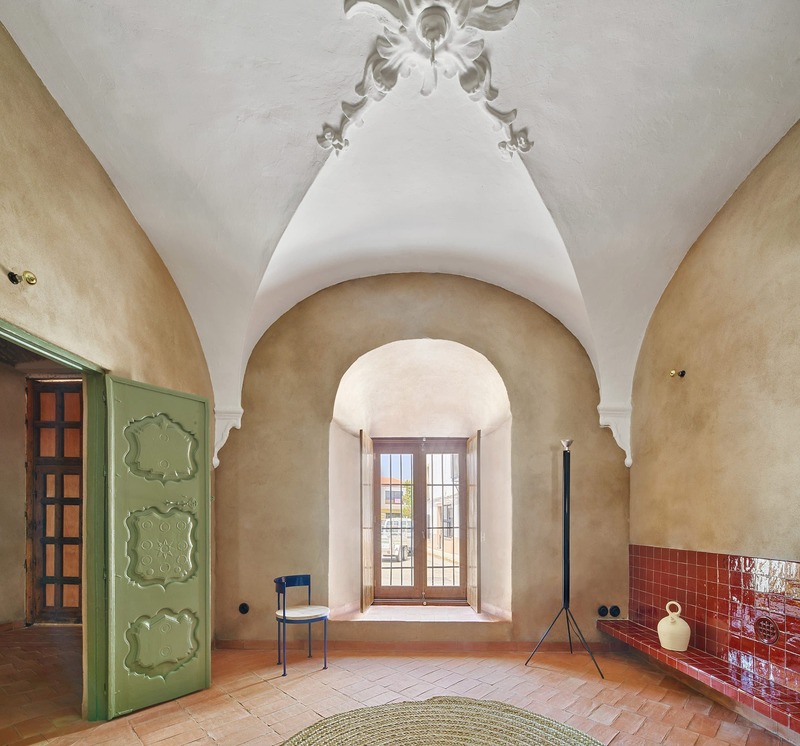 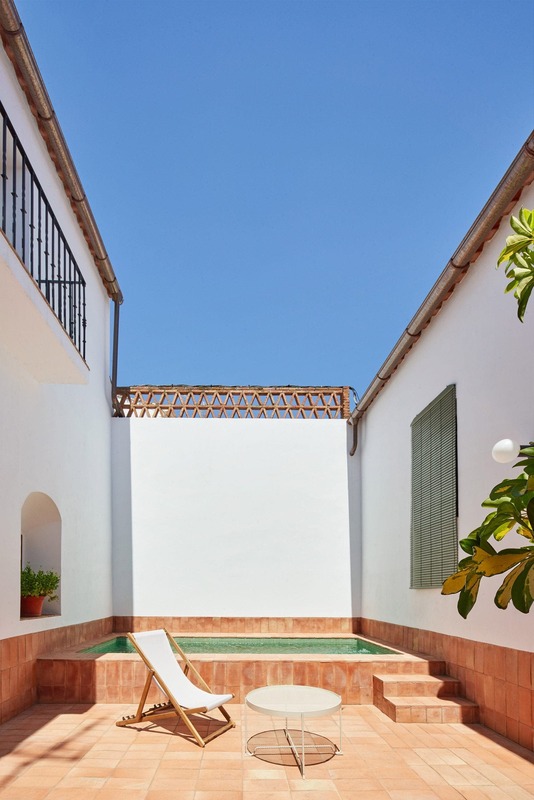 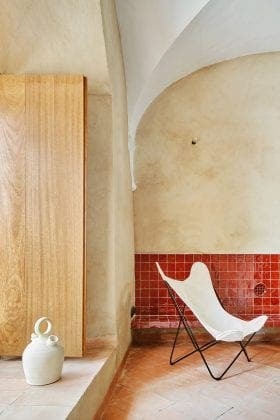 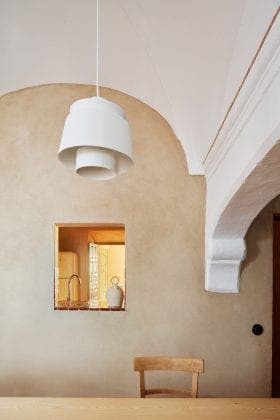 The 18th century private home, considered one of the most beautiful buildings in the town of Villalba de Los Barros, has been lovingly restored to its former glory by Madrid architects Lucas y Hernandez-Gil. Mortar walls, clay floors and original vaulted ceilings have been retained in a sensitive conversion for a British couple who wanted a guest house and a family home for their two children. Commanding pride of place in the main square of Tierra de Barros, La Hermandad de Villalba started welcoming guests this year. 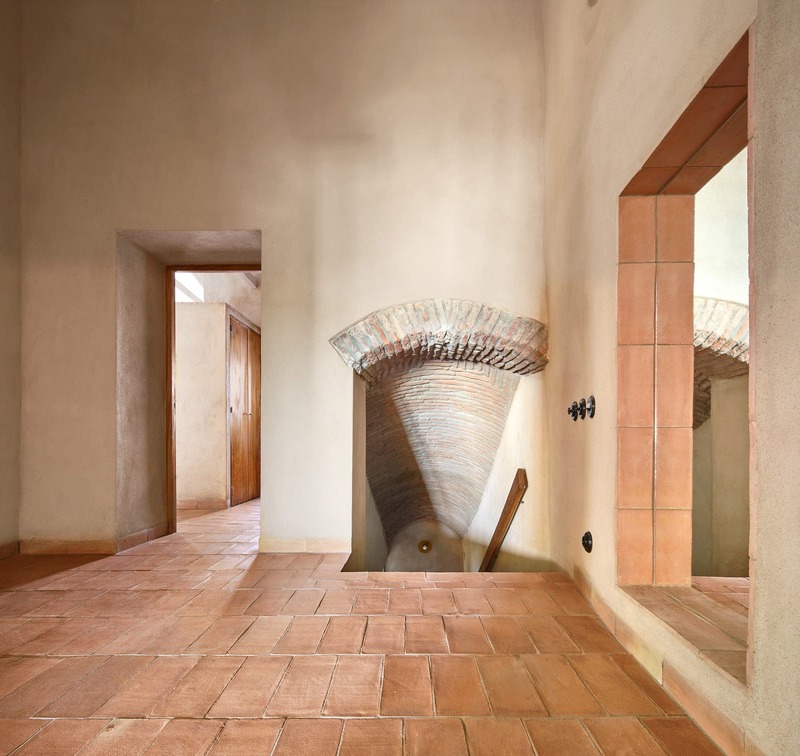 “The project underlines every single one of the home’s original strengths that were lost over time,” according to the architects, who installed a series of rustic living spaces, making sure to honour the original designs and outdoor space. The property’s structural shell was retained by coating the existing walls with raw lime mortar before whitewashing. 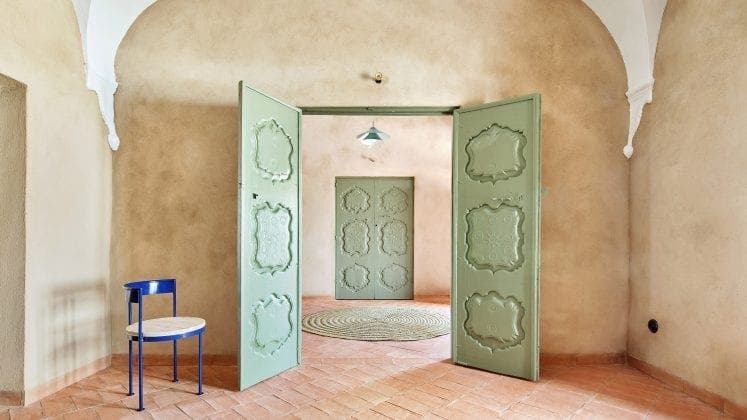 Local potters created clay tiles to replace the almost non-existent flooring while the original carved wooden doors were painted green in a nod to the region’s vineyards. 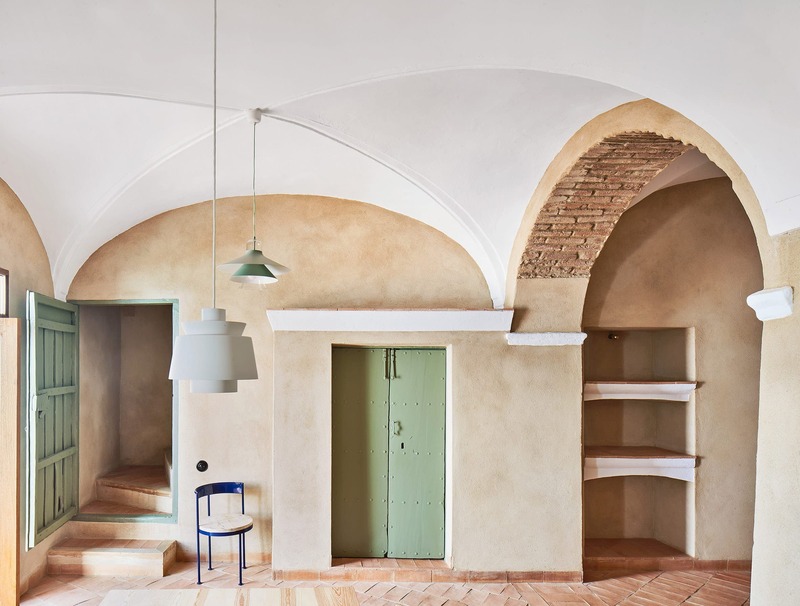 The second floor, previously a larder and store for cured meats, has been entirely rearranged to accommodate four bedrooms.